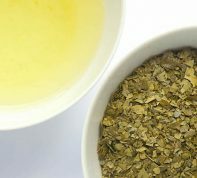 Best water for brewing tea? …but really, what makes the best water for tea? Speaking from a tea producer’s point of view, I don’t think certain types of filtered water or formulated water are necessarily better than others. 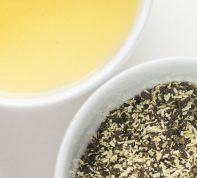 When I process tea and taste-test my tea, which type of water do I use to judge the flavor? And if a commercially filtered water happens to make my tea better tasting, it’s not necessarily my intended flavor. Based on what kind of flavor my tea and local water combination gives, I adjust my processing technique. Most tea producers I have talked to generally use locally available water. Spring water, well water, tap water, rain water, they all have different properties. Considering various sources of water locally available, most claim that spring water is the best option, but they seem to use tap water (sometimes filtered) for convenience. I tried various types of water both naturally occurring water and commercial bottled water. Personally, I like natural water sources. It tastes better and feels better too to use an environmentally friendly option. I studied Japanese Tea Instructor course a few years back and in that book there is a chapter that talks about desired water for preparing Japanese green tea. Some studies have been done on pH, iron, calcium, magnesium, chlorine, manganese, etc. 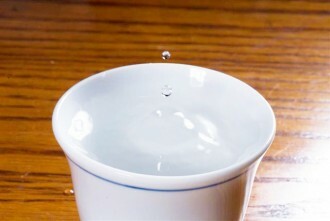 for water used to make tea, but one has to remember that the information is for making “sencha” and not just any teas. Here is the summery of desired water for Japanese green tea. To make good (Japanese sencha) tea, use water of neutral pH, soft water (but not distilled water) and eliminate chlorine if you are using tap water. Generally, tap water serves purpose in many places. In famous “Chajing” by Lu Yu, he describes that “mountain water is best, river water is medium quality, and well water is low quality.” It means that spring water from the mountain serves the best purpose for making tea. Surprising result indeed. Tap water from Tokyo is known for such a bad flavor and the director of Tokyo municipal water treatment center even guarantees that they only get complaints about bad flavor of their water. Fukamushi Sencha is now infamous deep steamed Japanese sencha style green tea. 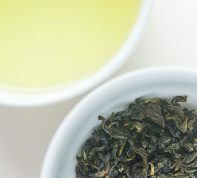 The lack of fresh aroma and flat taste became common place in sencha. The deep steaming was originally used because excess bitterness and astringency from volcanic ash soil of Mt. Fuji region could not make good tea, therefore they steamed longer to make the tea more palatable. For most sencha this is critical because they lose refreshing green aroma and makes the tea flat, but in that particular region the tea lost bitter edge and mildness made the tea more attractive. The tea was particularly preferred in Tokyo. It became very popular quickly, but nobody knew why. Nobody really cared so much, but it was just the right fit in that city. When Ogawa did the water test, she collected various samples of water from all over Japan. Well water, spring water, distilled water, mineral water, sake making water, tap water, etc. She paid special attention to collecting as many types of water as she could get and also to how they are transported and stored. Once the water was received she prepared tea under same condition and had various types and backgrounds of people taste taste the tea. Most people came to agree that tap water from Tokyo gave the best flavor. She also did the same test at different locations only to get the same result. Everybody knows tap water from Tokyo has strong chlorine smell and does not taste good at all. It’s the Fukamushi Sencha that erases or utilize the strong smell of tap water and makes it something better. Many tea merchants know this. Even though fukamushi sencha is not the best kind of tea that they can make, it is what makes the tea tastes best in Tokyo. Known famous water sources are good for tea ceremony and matcha (powdered green tea) water and not for sencha (steamed tea), and also those water sources may have improved their water condition over time. Distilled water lacks subtlety in flavor although it is not terribly bad. Tap water is not bad in general. Water treatment technology has improved over time and the taste of water is close to no odor, no bad taste.